Pine cones are a great supply for crafts with kids, we have a collection of pine cone crafts on our site that you should check them out for fun. 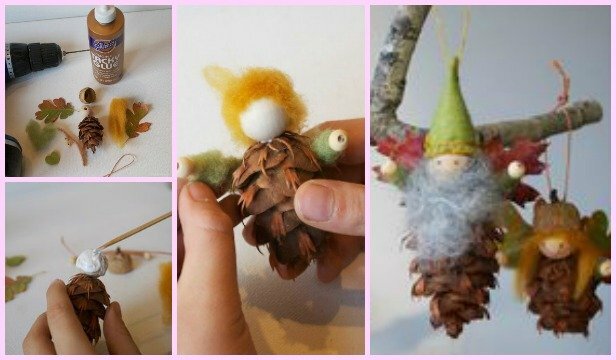 Today we are going to share more pine cone crafts – little fairies. 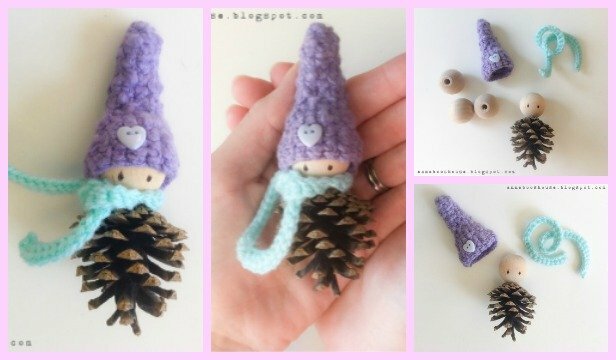 These pine cone fairies are so incredibly adorable, they will make a great addition to any room decor. You could even use them in a fairy house so they can be played with year round. This project comes from the Willodel Blog which is chop full of miniature fairy and elf play set ideas. Crochet a tiny hat and scarf and make a warm fairy instead, get free patterns and more here.